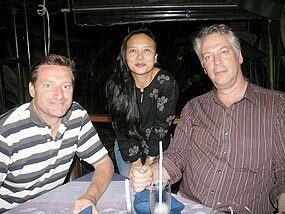 Mi Casa hostess Annie, shown welcoming Jerome and Rudy from Horeca to her restaurant. Pictured are the amazing dancers who left the crowd at D2 Hotel breathless! 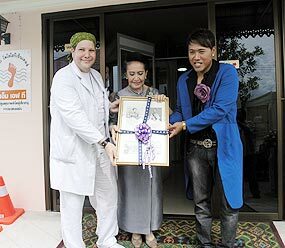 Chao Duentemduang na Chiengmai, pictured here with Dirk Weeber-Arayatumsopon, Medical Podologist (Germany) and Chief of Clinic and its general manager Wuttipong Arayatumpsopon, graciously presided at the Podology Centre’s opening. 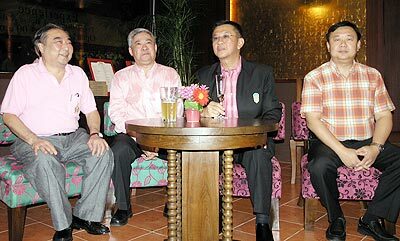 Pictured at their press conference at the Amari Rincome are Warunee, Amari Rincome’s EM, Prakornkiat, Aj. Tasanee, Kanichapak, Natthapas, GM of Angkhang Nature Resort and Aj. Jumpon(l/r). 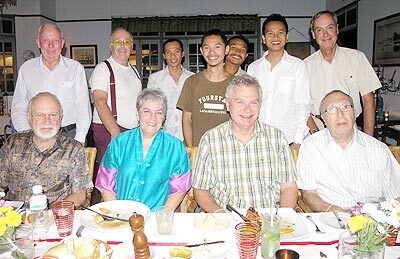 The Dining Out Group chose the House Restaurant for an extra special treat in August. 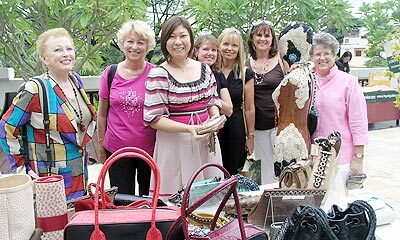 Guests were able to peruse over 20 stalls at the Charity Rooftop Fashion Show. 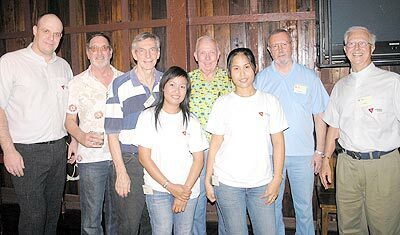 Riddhi Damrong, owner of Le Crystal, (2nd left), with guests Dr. Sumeth Handagoon, Boonlert Buranupakorn, and Sarawut Saeteam at the opening of Le Crystal Steak House. Jerry Nissen (right) and Thomas Albech (left) introducing Nixtech to a group of local residents at Tuskers Bar and Grill. Shown are some beautiful ladies modelling gorgeous wedding dresses at the Shangri La’s recent Wedding Fair.